Alan Grahn, 75, was an avid climber, hiker and cyclist. He had owned and operated an upholstery business in Minneapolis for decades and recently retired, in part, to spend more time with his grandsons. His son, Andy Grahn, said Alan Grahn was cycling back to his Minneapolis home after lunch with friends at Dixie's in St. Paul Wednesday when he was struck and killed by a school bus leaving Ramsey Middle School. 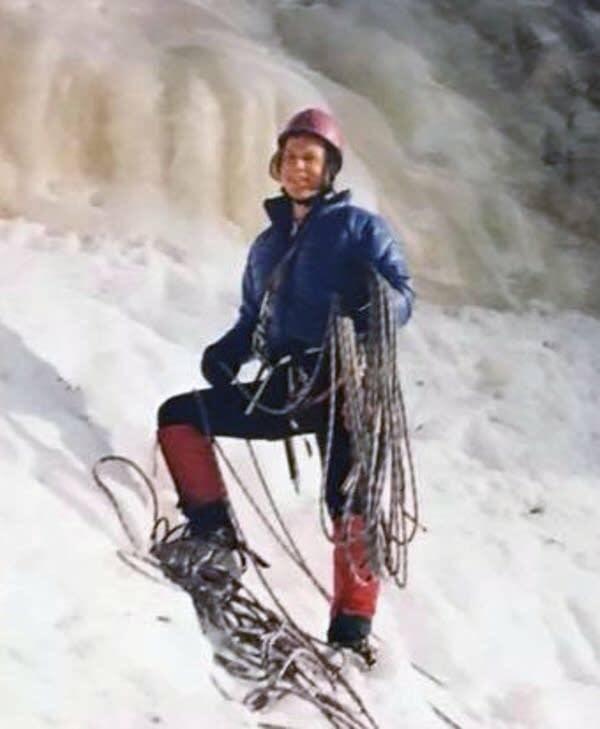 Alan Grahn died at the scene, at Snelling and Summit avenues, shortly after 2 p.m.
"He climbed mountains all over America and Canada and was really into rock climbing and cross-country skiing and outdoor activities. He lived a pretty rich and full life," Andy Grahn said. 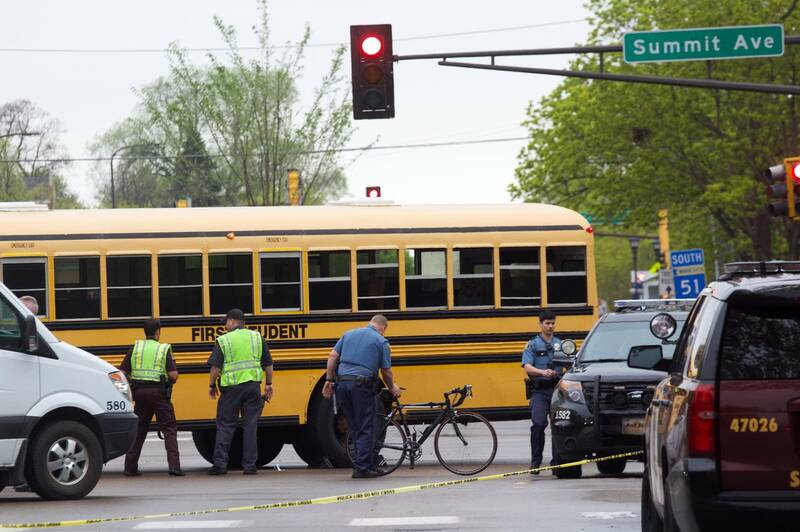 Police said Alan Grahn was killed when he collided with the school bus at the intersection, on the edge of the Macalester College campus. The bus was headed east on Summit Avenue and turning onto Snelling Avenue. 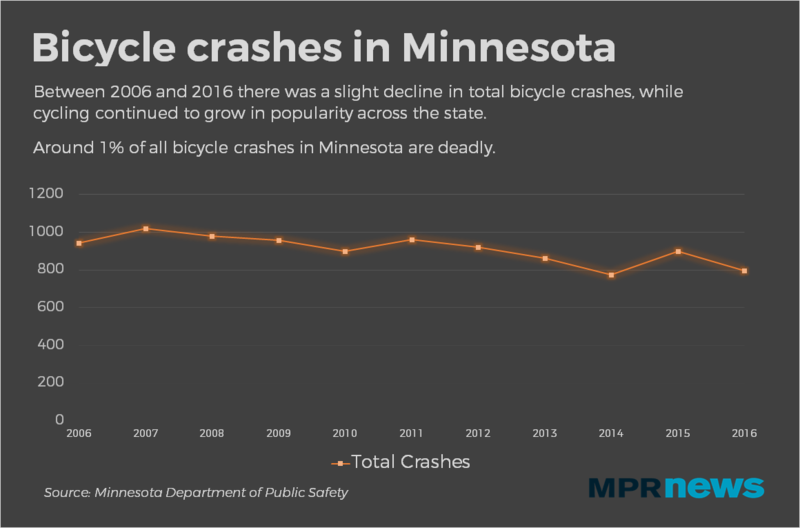 Grahn was cycling west on the Summit Avenue bike lane, witnesses said. It wasn't immediately clear who had the right of way before the collision, and police say they are investigating the crash. Police say they may be aided by video from the bus. Police said the bus driver and about 30 children were on the bus at the time. They were not injured. The middle school students were taken from the back of the bus to a nearby Macalester building, and eventually picked up by their parents or taken home by a replacement bus. Grahn grew up in Mounds View and went to the University of Minnesota, where he was a philosophy student, stopping just short of getting his Ph.D. at the U. "Near the end there, he sort of realized that he really enjoyed working with his hands and making things and so he started his own upholstery business," Andy Grahn said. He sold the business and retired about five years ago, after both of his own children had children. "He was incredibly happy about (being a grandparent)," Andy Grahn said of his dad. Alan Grahn married his wife, Nancy, in 1969 and they had been married for 48 years when he died. He is survived by a son and daughter, two grandsons, and a younger brother and sister. Andy Grahn said the family is still working out details of a possible memorial.